Father And Son:Two Generations Of Noble Deer Stag. 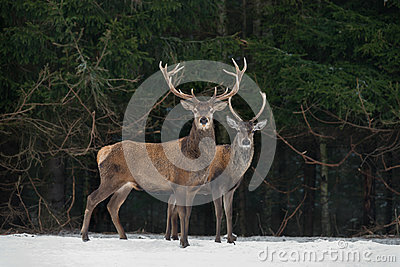 Two Red Deer Cervus Elaphus Stand Next The Winter Forest. Winter Wildlife Story With Deer And Spruce Forest. Two Stag Close-Up. Belarus Republic.